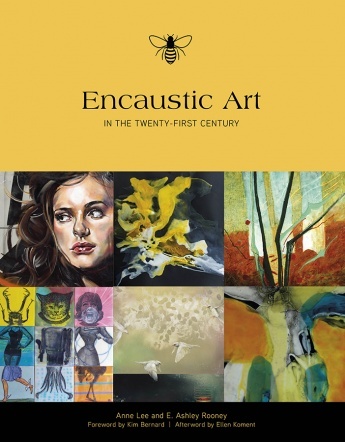 Brad Ellis has been has been featured as one of 79 artists in the book Encaustic Art in the Twenty-First Century by Anne Lee & E. Ashley Rooney. From beehive to hotplate to the artist’s hand, encaustic has evolved as a versatile medium applied to almost every artistic style. A long-overdue look at a newly popular art form, this book explores 79 North American artists’ feelings about their work in encaustic and how they use it to express their inner worlds and the world around them. Eight chapters organize the artists by geographical region and focus on how the heated beeswax and resin material is used to create seductive, skin-like surfaces and rich, layered membranes. More than 2,000 years old, this cross-disciplinary medium ranges from painting to sculpture, assemblage, collage, and printmaking and encourages risk-taking in a way that other materials do not. Its inherent contradictions–it can be hot or cold, malleable or solid, opaque or translucent, layered or thin, permanent or fragile–make it all the more fascinating. Visit Schiffer Publishing to learn more or purchase the book.